DK Books has graciously sent us copies of the following titles for review. No other compensation was received. At the top of the pile – Star Wars Encyclopedia of Starfighters and Other Vehicles. It didn’t take much coaxing for him to explain to me why this one gets top grades. For the record, this may be one of the longer conversations he and I have had lately. His next favourite in this year’s selection? 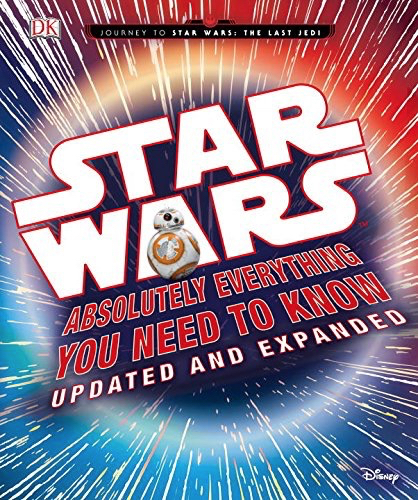 Star Wars: Absolutely Everything You Need To Know Updated And Expanded According to E1, you can ‘definitely’ tell that it has been updated. Since you absolutely couldn’t prove it by me one way or the other, I will definitely defer to his expert 12 year old opinion. He feels it’s slightly larger size is a draw back (the book’s circumference is slightly bigger than your standard piece of paper). The topics are divided into good guys, bad guys, locations, and creatures. Or, if you will, people, places, and things. I would think this would make trivial pursuit a lot easier. 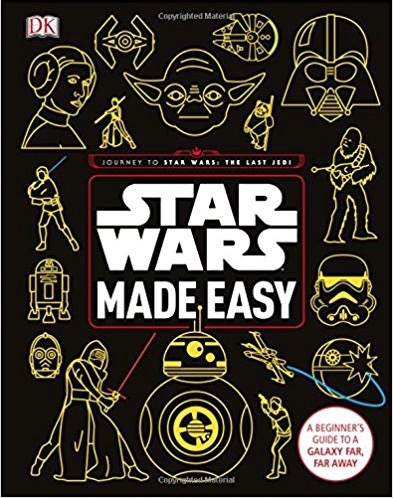 For the absolute beginning Star Wars Made Easy is an absolute must. ‘If you know nothing about Star Wars, this is the book for you. But where have you been?’ (his analysis, not mine). Personally, I think this book would be great before going into a social situation where Star Wars might be a topic of conversation. There are synopses, simple explanations of the main characters, as well as handy pronunciation guide. In a nutshell, everything you need for your next computer club meeting. 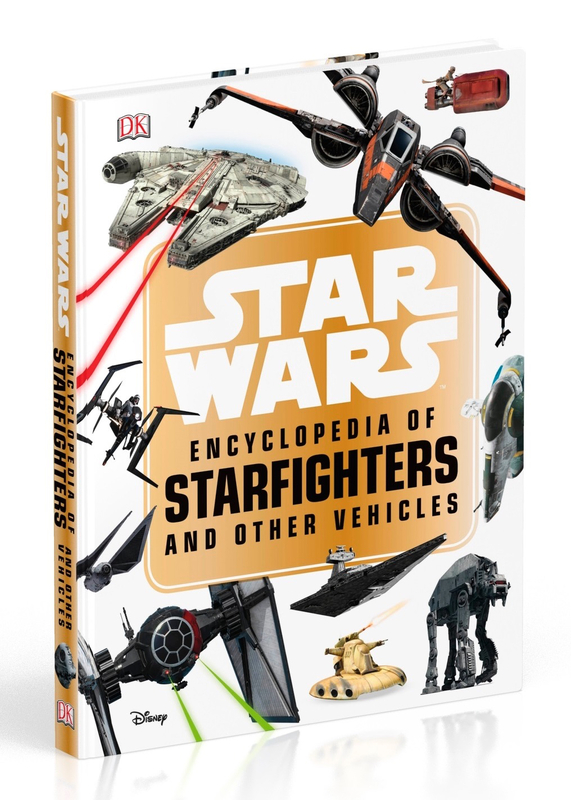 To celebrate in real Star Wars style, I have partnered with DK Books to giveaway a copy of Star Wars Encyclopedia of Starfighters and Other Vehicles. Open to residents of Canada only. Void where prohibited. Approximate retail value $25. Not responsible for lost or misdirected entries. Contest closes May 18, 2018 11:59 pm ET. Good luck! 17 Responses to "Our Picks for #MayThe4th from DK Books"
My hubby & grandson are both 10's and I might be a 5. I am probably a 4 to 5. Would have to say a 2 or 3 but my granddaughter would probably score much higher! My Star Wars knowledge is probably about a 5. I would say a 2. I am most knowledgeable about 4, 5 and 6. I am probably a 3. My kindergarten students know more than me. I'm around a 3 but I live in a house full of boys who rank much higher. I would rate it a 6.